Heartwood encourages all Madison property owners to plant trees to ensure our urban canopy continues to thrive for generations to come. Mature urban forests/woods that look and feel great today must be replenished by planting. The dominance of lawns in the urban environment prevents self-seeding by the existing trees; planting is the only way to ensure a sustained urban forest. Even the well-known Oak stands in places like Arbor Hills or Nakoma need new plantings to sustain the long-term canopy. A bare root tree planting just in front of two “B&B” plantings. Note how extensive the bare root roots are, even though the B&B plantings are many times larger in mass. Heartwood plants both balled and burlaped (B&B) trees and bare root trees. 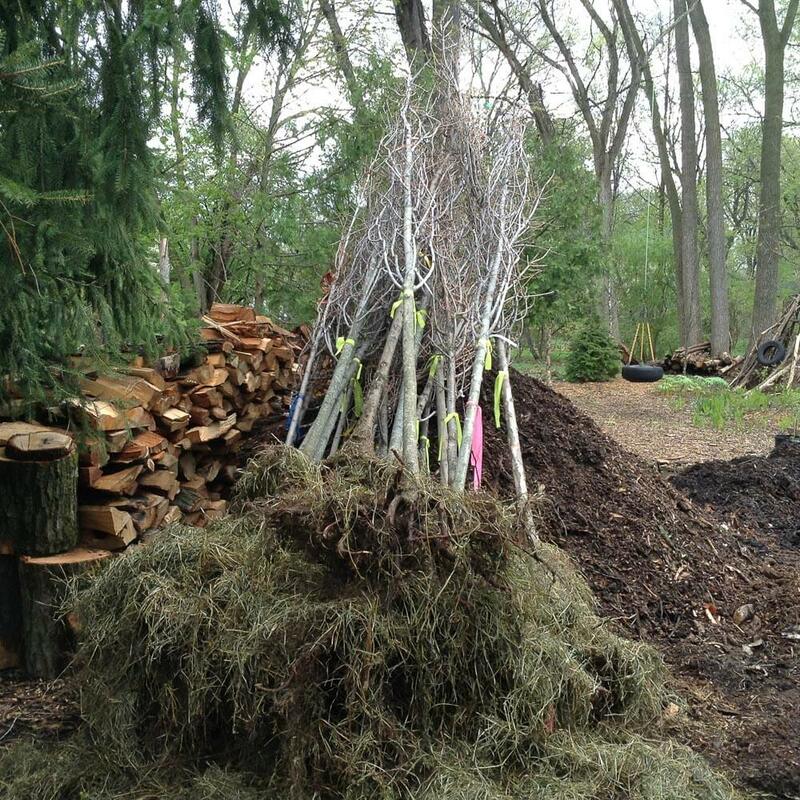 We prefer planting bare root trees in spring because of the more affordable price, reduced transportation costs, and ease of planting. 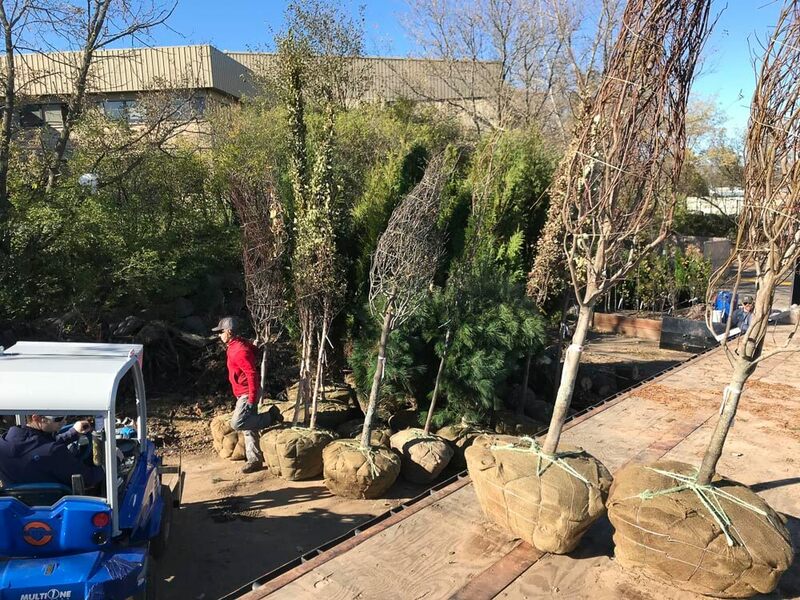 Bare root can require some extra care from us during transporting and planting because the roots are exposed, but over the long run we feel the extra effort is worth it. From the very beginning, bare root plantings are a great value because bare root trees have a more intact or larger root system, as the digging process in the nursery allows for more of the roots to stay intact. Often we have to dig extra wide holes in order to accommodate two foot-long roots on some of the bigger bare root trees! The second advantage of bare root trees is the ability to actually see the roots. This visual opportunity allows use to correct any root structure issues and also guarantees that we plant the tree at the right height. Finally, during the digging process some roots are broken or torn, if this does happen we can prune the root ends, providing a clean cut for new smaller roots to sprout from. None of these advantages are possible with balled and burlap trees. Read more about the pro and cons of bare root vs. B&B in our blog post on planting approaches, which includes illustrations of common problems with B&B plantings. Heartwood guarantees all its tree stock for one year against disease and defect. 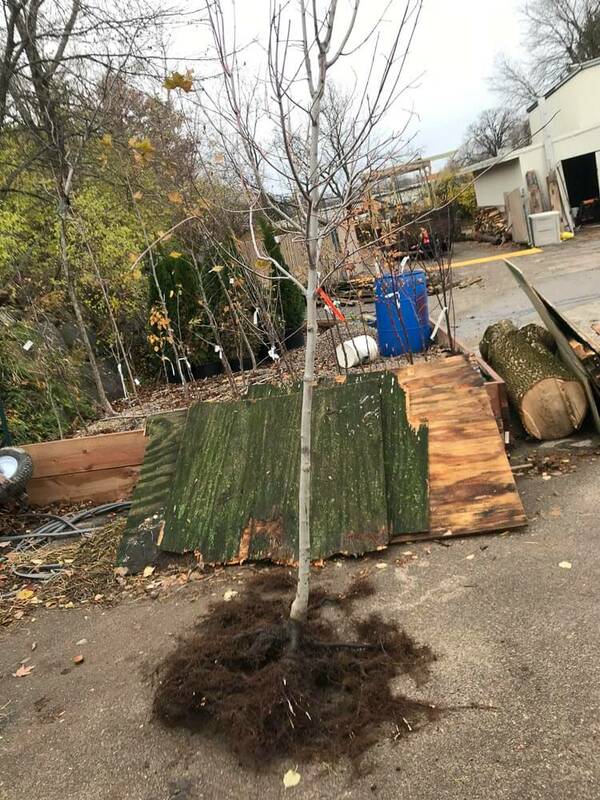 We plant healthy trees ready to thrive; if for some reason you get a dud and it dies in the first calendar year (generally around 20% of transplants die), we will replace it. If the client fails to water or properly care for the tree, the guarantee is void. We also do not guarantee against pest or animal damage. We recommend all trees have some sort of rabbit protection for the first several years of life. Hardware cloth is our preferred deterrent against rabbits; you can find at most neighborhood hardware stores. Contact Heartwood today to place a tree order. 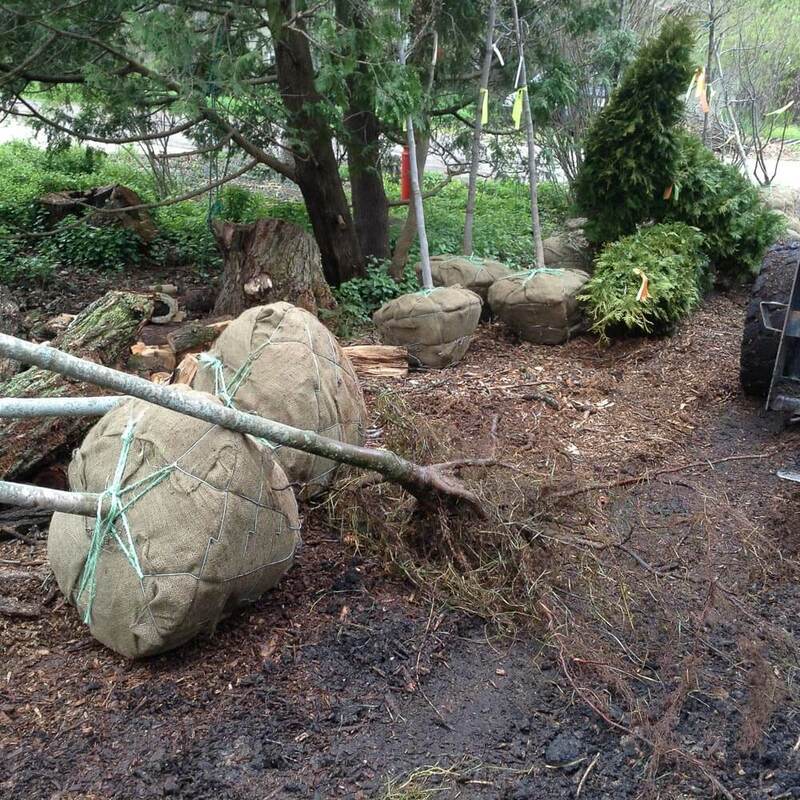 All orders include a one-year guarantee, a tree irrigator (water bag for tree), and a mulch ring for each tree planted.